We all know about the world's cheapest car from Tata Motors, which sells for less than USD2 500. Well Tata also dabbles in cheap, affordable homes! These images are from their Shubh Griha project near Boisar in Maharahtra State, just over 100km north of Mumbai. 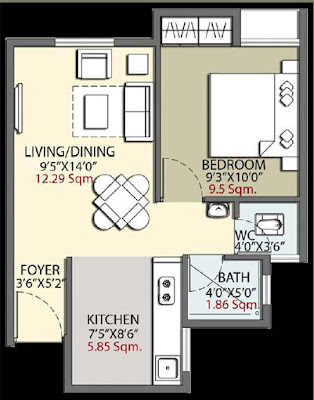 The homes start from about USD8 200 for a very small 283sf studio unit, go up to USD10 600 for a 345sf studio, and USD14 300 for a 465 single bedroom unit. 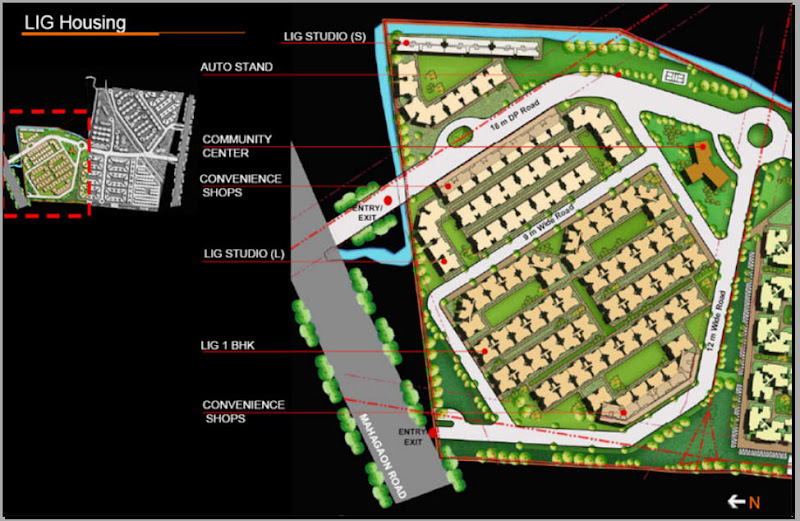 Tata is building 1,300 basic units at Boisar, and they are already oversubscribed. "India’s cities need at least 25m more homes, according to report from McKinsey, a consultancy, and the Federation of Indian Chambers of Commerce. In Mumbai, the commercial capital, more than 8m people now live in shantytowns, often paying substantial rent for the privilege. But buying a home of their own is way out of reach for most of them: a 70-square-metre flat in the centre of the city costs $500,000 or so. The cost is being kept low chiefly because the flats are being built outside big cities, where land is much cheaper. Owners are expected to commute. The units are also very small and spartan. 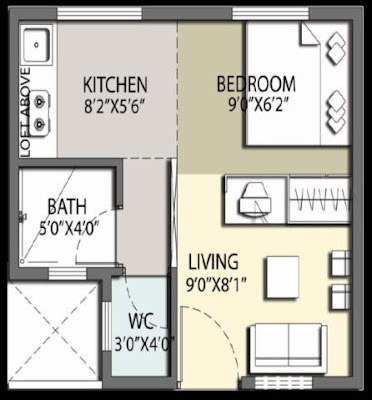 The simplest consist of a single room with a sink in the corner and a toilet behind a partition. They are in buildings of no more than three storeys, so there is no need for expensive structural works. Instead of bricks, lightweight moulded concrete blocks are used for the walls. The concrete is often made with foam, fly-ash or other waste materials to make it lighter as well as cheaper. There are no lifts and just one staircase per block. All this means that the homes can be built very quickly and with unskilled labour. 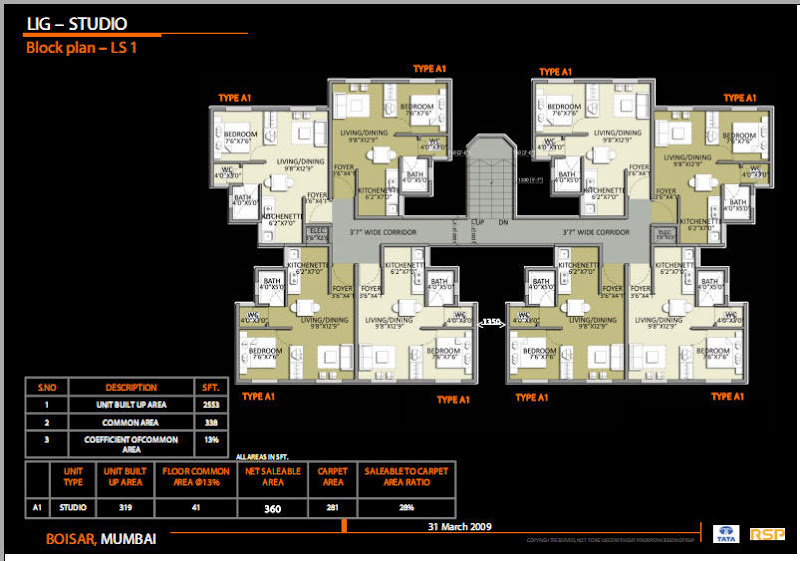 The developers say the potential for very cheap housing in India is huge. Many of those living in slums today are employed as drivers, factory workers or tailors, with incomes of around 90,000 rupees a year—easily enough to afford a flat which costs 200,000-400,000 rupees. According to Ashish Karamchandani of Monitor Group, another consulting firm, India has 23m urban families with incomes of 60,000-130,000 rupees a year. 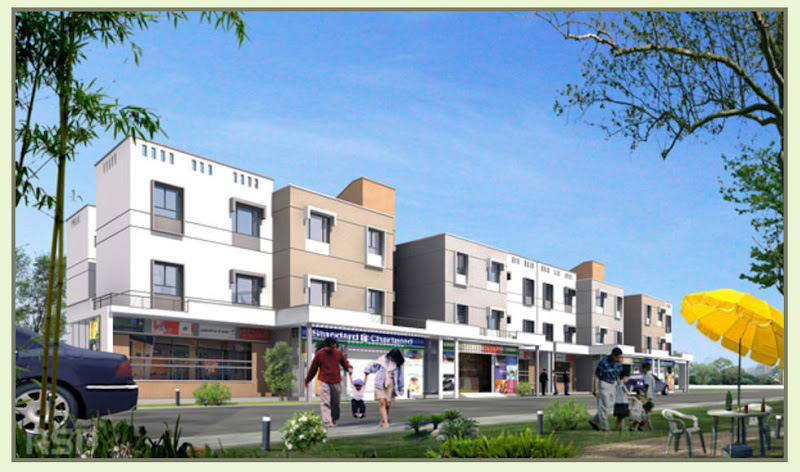 Including rural areas, Tata Housing sees an even larger market of 180m households earning between 90,000 and 200,000 rupees. Until very recently one of the biggest hurdles was finance. Banks were unwilling to lend money to people without credit histories or proof of permanent residence. But two government-owned banks — the National Housing Bank and the National Bank for Agriculture and Rural Development — have agreed to provide funds to finance companies so that they can offer mortgages to such buyers. To reduce risk, buyers must put down at least a quarter of the purchase price and employers must confirm their income. Borrowers are then charged little more interest than those with an established credit history." All images are from Tata's project website. Nice try Tata. The good intention is there but then, again, the poor are being converted into the "commuting lumpen." This is true everywhere there is an urban explosion of city dwelling poor people. Then the "affordable housing" they are offered is a series of barracks-like row houses or apartment complexes that look like penitentiary. Can't somebody come up with something more human and less energy dependent. 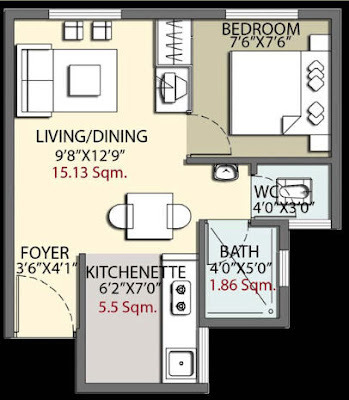 I've found out that Affordable Housing were in particular attention in Australia. One of them is K2 Apartments by DesignInc. 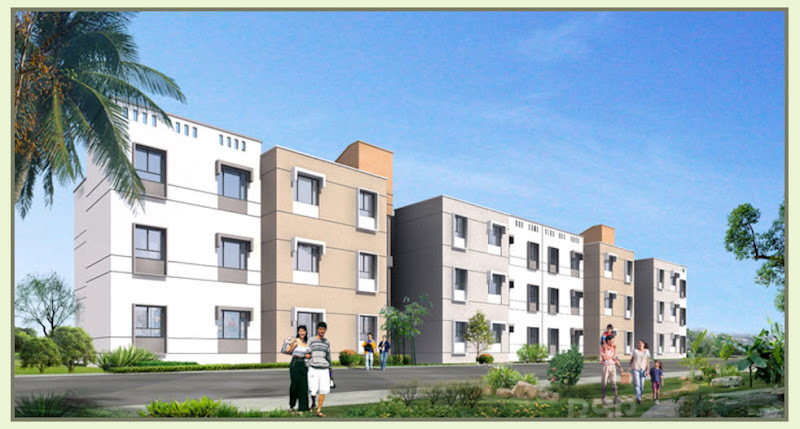 Do you happen to know any Affordable Housing in Asia which provides detail information like shubh griha?